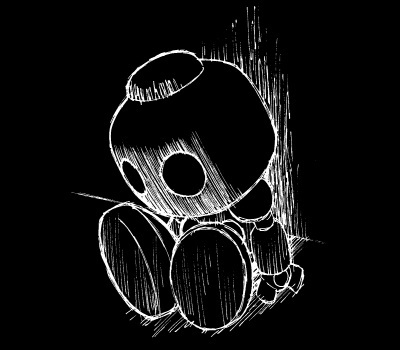 I hope someday Mega Man will have a site as comprehensive and definitive in its coverage. Of course, Mega Man also has a ton more games and materials than the Chrono Trigger franchise… but, hey, can’t hurt to dream. As a fan of Chrono Trigger, the early rough sketches from Masato Kato caught my eye. 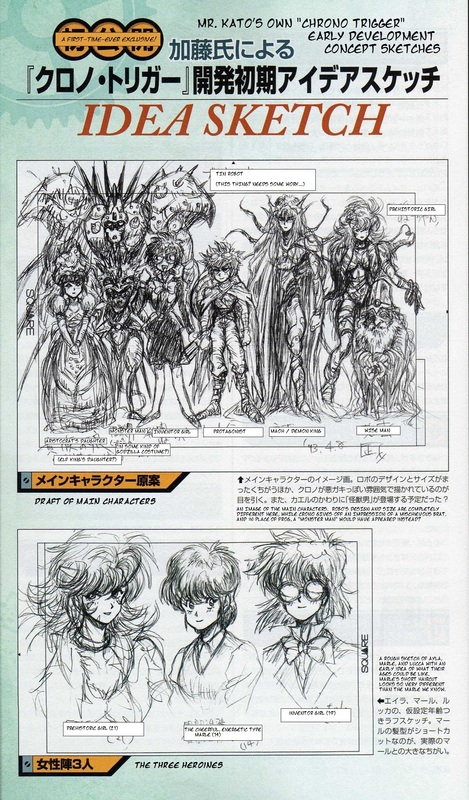 Featured in the book Chrono Trigger Ultimania that was published in 2009 for the DS version release, it’s interesting to see how Kato’s early ideas compared to Toriyama’s finished character designs. If you’re interested in that sort of thing, you can check out the two pages translated by me here and here. 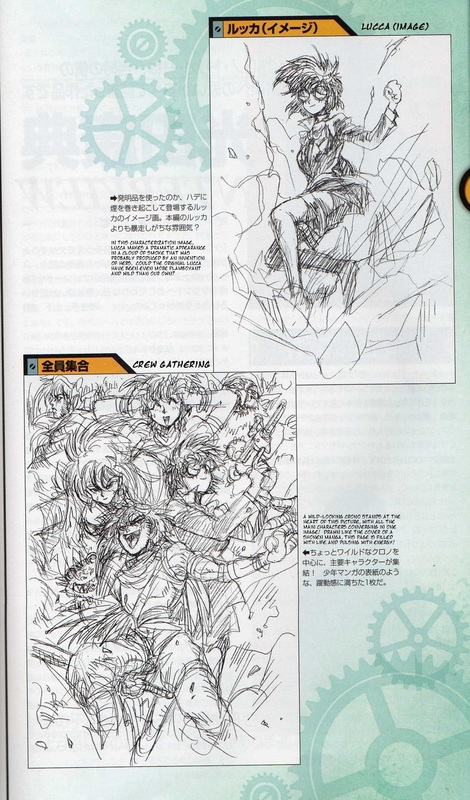 Thanks again to the colossal Chrono Compendium for the scans! 2 Comments to "A look back in time with Chrono Trigger"
Very interesting. 🙂 And very different in tone from Mr. Toriyama's designs; I wonder if the game's popularity would be affected if it had retained this style? I'll give you the point that the Compendium has some awfully in-depth content, I found myself browsing through their pages more than once and being amazed at the detailed explanations of the series. Of course, with only three games to cover, it's so much easier to do than with the Mega Man universe! The only sites that come close to that level of detail are the Mega Man Network's wiki and the MMKB on Wikia, but they don't quite have the same comprehensive analysis. It's obvious to understand why, though: we're comparing three RPGs written by a professional to a bunch of mostly platformers written by whoever was on duty that day. While it's possible to tie together neatly some series, such as the Zero and Battle Network ones, it becomes harder to do with the Original and X ones.